Otherwise known as, Daylight Savings is hard. I dread it. I'm writing this on Sunday night and dreading the morning when I have to get up at 5:30 which is really 4:30 in order to run before Letty goes off to school. But at least we had our Sunday to let it soak in a bit. We stayed home from church and everyone slept pretty decently all things considering. And with this impending snow doom coming our way hey, maybe I'll only have to wake up that early today before getting another slow morning..... Maybe. 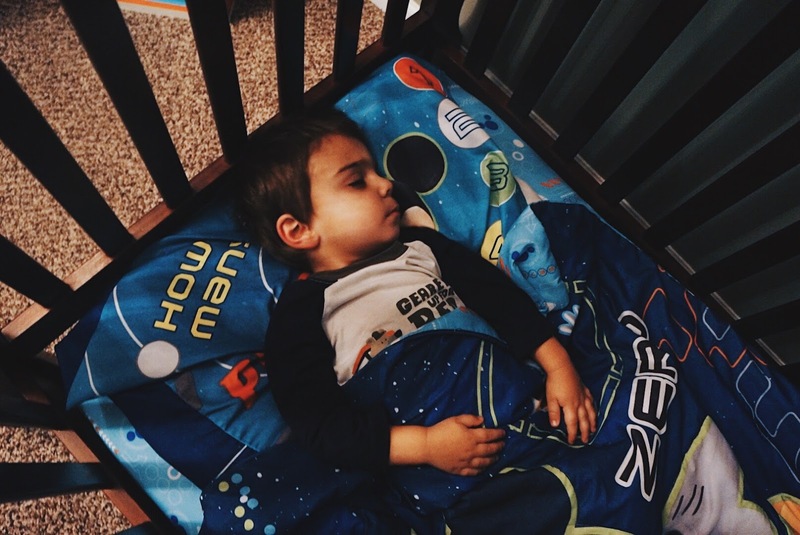 Dominic, age 2 years: His bed time routine involves the typical diaper/tooth brushing situation... followed by choosing a book and heading into his brother's bed to get all tucked in for a nice reading. After his book is read he toddles into Letty's room to hug her and I before Matt puts him in his crib, making sure he has his assorted stuffed animals and books and toys. He gives Matt a high five and makes sure his twinkle lights are on as is his owl night light. Then he closes his eyes and looks mighty angelic as Matt leaves his room. Not a peep from him until shortly before the sun rises which should be interesting with this time change.... He is an early riser. David, age 4 years: His bed time routine is always fun. David likes to hold a number two till about fifteen minutes after we think he's down for the night. So we try and make him sit for a bit just to be sure he doesn't have to go. We are successful like half the time I'd say. He brushes his teeth and picks out his book and then runs into his bed to climb under the covers next to his brother. He listens to Dom's book being read and then while Matt is putting Dom down David runs around his room and gathers up his toys. 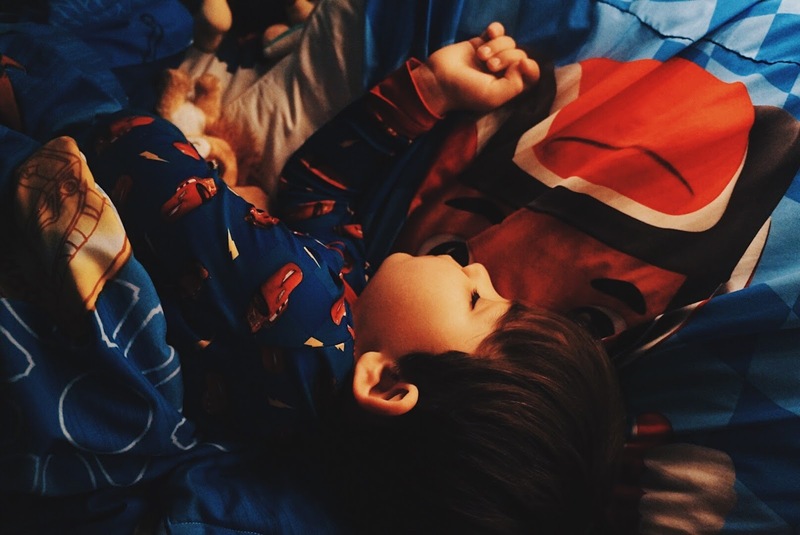 He needs to sleep with Chase and Whaley the dolphin, plus the Blaze that transforms into a firetruck. He needs his Jake and the Neverland Pirate blanket on top of his comforter with Jake facing up looking at David. Matt comes back in and they read David's book of choice before there is lots of hugs and kisses and rounds of see you in the morning David. I come in and kiss him goodnight and pretend to eat his cheeks after I'm done reading with Letty. Minus a possible bathroom run fifteen minutes later (can somebody come wipe me?!) we won't hear from David till morning. Letty, age 6 years: She preps everyone's toothbrushes with their corresponding toothpaste. Other people do that too right? Different toothpaste for different kids? See: germs. Anyways she does that and then runs to the bathroom and gets her bed ready and her drink set up and her book chosen. We have been reading different chapter books depending on her mood. Sometimes Junie B. Jones, sometimes Little House in the Big Woods, sometimes a Frozen book, you just never know. I read to her a bit and some nights we work on sight words too while we read. Then there's the typical hugs and love from Matt and I before we leave her with globe lights and flower lights going. It's like as bright as the sun in there. She usually plays and reads for about 45 minutes depending on her day but we usually don't have to come back up. 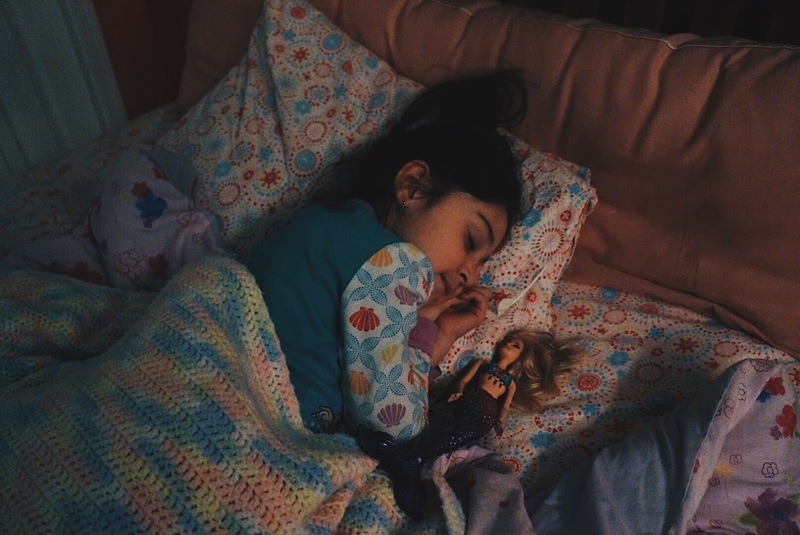 She sometimes has nightmares but normally we don't see her again till I wake her up in the morning for school. Hope DST was kind to all today.... May the force be with you. I think Chris and I may be on our own little island here, but we totally forgot about DST. Woke up Saturday like normal, then noticed our phones and clocks were a tad different. Then we just changed them, and haven't noticed a difference. LOL! Maybe our lives are just always chaotic and this is just how we operate. The kids seems to be fine. LOL! i'm just annoyed that i got to work when it was dark out and that is all there is to that. i was enjoying the lighter mornings. i woke up WAY too late yesterday so it totally threw me off. also reminded myself i'm not a morning person anyway. i digress. i just made this all about me. sigh.